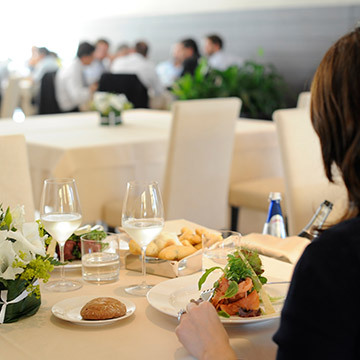 L’Orangerie, a restaurant with a reputation for excellence, is located inside the Grand Hotel Terme. The ambience is elegant, the interior hall has large windows giving a view of the lake. The cuisine, open to outside influences, leaves nothing to chance: all the details are designed with the pleasure and wellness of guests in mind. The dishes are a blend of the tastes of the territory and Italian cuisine with a wine list of national and international labels. 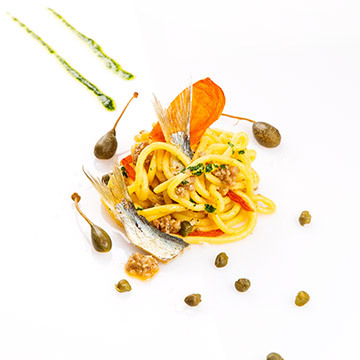 The dishes are the work of the chef Stefano Pace, who every day offers new and sophisticated taste experiences: from the lightness of the dressings to the elegance of the presentations, from the arrangements of the colours to the combinations of flavours. To finish, a range of pastries, the extraordinary creations of the master pastry chef. To guarantee wellness at the table, the menu is created in collaboration with Anna Villarini, a biological nutritionist who promotes and applies the most authoritative nutritional recommendations. The Bar Centomiglia offers an impeccable service to all guests, from the hotel and outside, from excellent aperitifs amidst the magnificiant décor to herbal teas with sweet and savoury accompaniments. A cuisine that interprets and exhalts the flavours, aromas and colours of the territory. French technique combined with entirely Italian flavours and the creativity of the chef Stefano Pace. Stefano Pace was born on 20 February 1962 in Paris, to a father from Verona and a French mother. 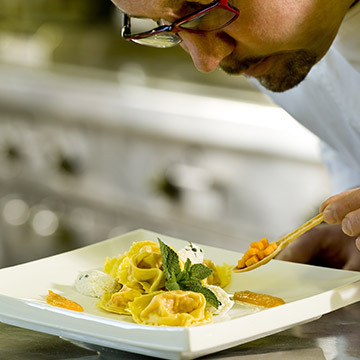 His career began in France, in renowned restaurants, but then continued in Italy. In 1963, he opened his restaurant “La Terrazza” in the Verona area, where he received his first Michelin star. His philosophy is summed up in one essential concept: “A dish must be good, not a museum piece. Presentation is important, but the ingredients, the flavour, come first." 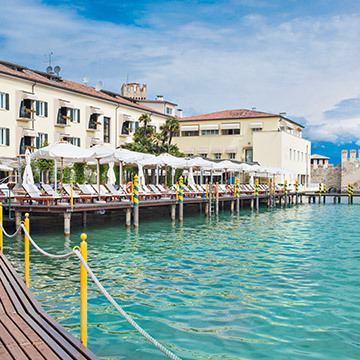 It is his idea of cuisine, his original way of reinterpreting traditional cooking and typical local produce that has underpinned the collaboration with the L’Orangerie restaurant in Sirmione since 2011.